An intrinsic byproduct of the transformation process is heat, specifically, the “I2R” (I=Current, R=Resistance) heating that occurs when current runs through a conductive wire. Heat breaks down transformer composition materials and insulation, resulting in less efficiency and shorter service life. Transformer heat is best controlled by the oil filled transformers, which conducts the heat away from the heat-producing parts while protecting other internal transformer workings. But with proper sizing and placement, as well as fans when appropriate, dry type transformersm which cool by air ventilation, provide excellent, low-heat service in tight enclosures and indoor situations where oil leakage could cause a fire or significant environment hazard. Clearly, a system without these threats offers enhanced safety for indoor applications. A dry type transformer will typically incorporate a design with greater internal clearances to allow for better heat dissipation. 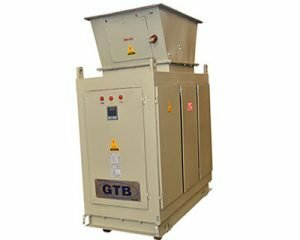 No fireproofing, oil catch basins or venting of toxic gasses are required and the transformer can be close to the load, minimizing secondary line losses. 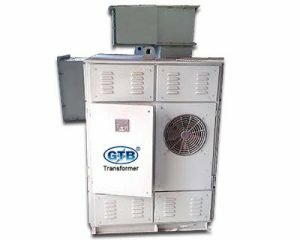 But a dry type transformer also reduces maintenance with no need to replace transformer oil while avoiding the contaminant and composition checks necessary for proper oil insulation and cooling. Dry type transformers are widely used in indoor situations where oil leakage could cause a fire or significant environment hazard. For example in places such as schools, institutions, mails hotels, malls and commercial buildings where reliability and safety are mandatory. Relative ease in maintenance of the transformers explains why GTB dry type transformer is often the choice of the customer.